Maria served me and was extremely polite, very friends and very beautiful. Food was great as always. Having visited once before, I was really looking forward to coming back to this outlet, as previously the experience was simply wonderful. So first Nando's of the day, Brighton - Duke Street. Arrived and were seated immediately, being taken to a table downstairs. On my previous visit, I was seated upstairs, and now I have had the chance to sit in both and compare, I certainly prefer to sit on the ground floor. My first time here was about 6 or 7 years ago so needed a return for a review for my RYN page.. It was okay. Love Nandos. The best thing is that I get an NHS discount. Staff so friendly and helphful. 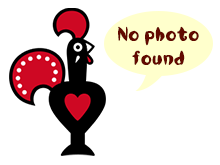 My first visit to Nando's after my son kept saying you must go it is amazing, I was very pleased I took his advice our meal was excellent the chicken was beautiful cooked just right not dried out like so many places do. I can not wait to go again and I did not feel out of place being an older person and the staff were helpful. What can I say it was one of the best restaurants I have ever been to. It was my first ever visit therefore I was bit cautious at first as I have had bad experiences with other chicken restaurants (KFC) but because of all the positive reviews I had heard from my friends I decided to try it out, I am definitely glad I did. Its close location to the town centre of Brighton should make it a must visit for everyone , easily accessible to Duke Street. On a girlie weekend in Brighton , hoping to escape from my normal nandventure of an existence, I was surprised to hear calls from the group to freqent a Nando's to assuage our yearing bellies. I of course obliged by leading our group to a Nando's I had spied on our tour of the city yesterday. As we arrived however, Nando's was suathed in a gaggle of angry and hungry pigeons. As I was in a group of girls of course we screamed loudly and we entered quickly. This Nandos is the best I have yet to visit. The interior is fantastic, very Nandos-esque, and in its appearance, what I believe peri-Peri is all about! When I entered, the staff were straight over to assist. They continued to chat to each quest waiting in the queue until a table was ready, remembering each persons first name, adding a bit of a personal touch. When ordering, the server was very enthusiastic, as if they knew you in person. I went to Brighton Nando's with around 25 foreign students who wanted a change from the mixed canteen food they had been eating all day every day at EF Brighton. A big thank you must go to the management who saved us the downstairs area of the restaurant which meant we got to skip the queue at 5.30 when we arrived. Just finished a hard day a college and I'm thinking I could do with a nandos so I head into town with my friend and we arrive, get a table straight away, food comes after 10 minutes and I'm looking at my food and im so excited to eat it. I got a double chicken pitta with rice, chips and garlic bread. Looks and taste amazing, I didn't want to stop eating, I really fancied some more spicy chicken but I couldn't afford it. Brilliant location right in the middle of other great shops. Makes an amazing lunch stop-off in the middle of a day shopping out in Brighton. Trying to find somewhere to park a minibus in Brighton on a wet wednesday evening is a task i never plan to repeat. Plesant Nandos. The building is a long thin building, with a small amount of cellar seating (3/4 tables?). It had an interesting mix of tables, with some low seated, some high with no back stool style, long tables with sauce dividers and a small amount of al fresco dining. The art work was plesant, a nice mixture that blends well with the area (artsy and bohemian). This was a very pleasant visit on a Saturday lunch time with some foreign students who I was teaching at the time. Many of them had never been to Nando's before and were almost hypnotised by the array of sauces on offer. Everything ran smoothly and I would happily return but now the new Marina branch is open, I'd be tempted to trial that branch first! In the heart of Laines and very close to Churchill Square car park. Brighton Main train station is 10 min walking distance. Was in Brighton for a couple weeks back in 2008 and so had a few visits to this branch. It's a small shop frontage - which does mean it's quite narrow inside, but if it's sunny enough there is also some outside seating. Went here in all different group sizes - on my own, in a three and in a six - and each time was seated within 5 minutes and never had a long wait to order or for the food. Chicken was as expected with sufficient sauce too!